10 takeaways from the 2016 International Open Data Conference – Open Data Aha! This post originally appeared on Omidyar’s SunlightFoundation blog. 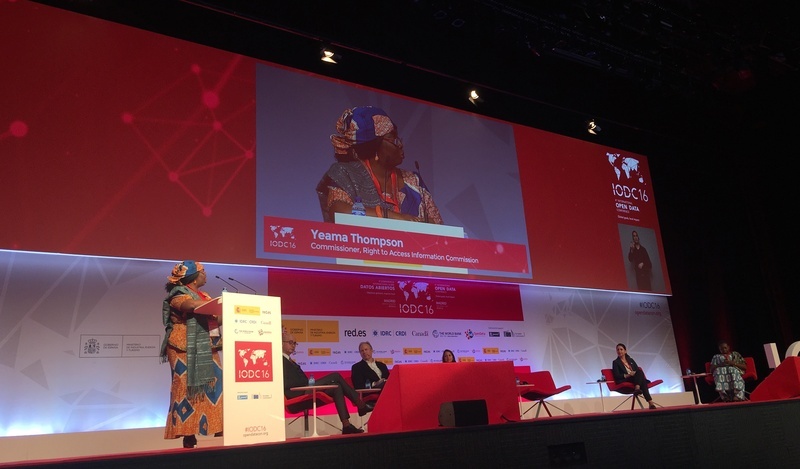 Yeama Thompson, commissioner at the Right to Access Information Commission, speaks at IODC 2016. It’s been much more than a century in internet time since the founder of the World Wide Web stood before the first International Open Government Data Conference(IODC) and laid out a vision for countries to unlock their files and share them with the world. In the six years since Tim Berners-Lee called on governments to put data on the web, dozens of nations have done so, convening at the second International Open Government Data conference in D.C. to check in on our collective progress and challenges, and again at the third conference in Ottawain 2015. I’ve attended them all, in one capacity or another. Here are my takeaways from the 2016 iteration in Madrid, Spain, using Wired’s “Wired, Tired, Expired” frame.